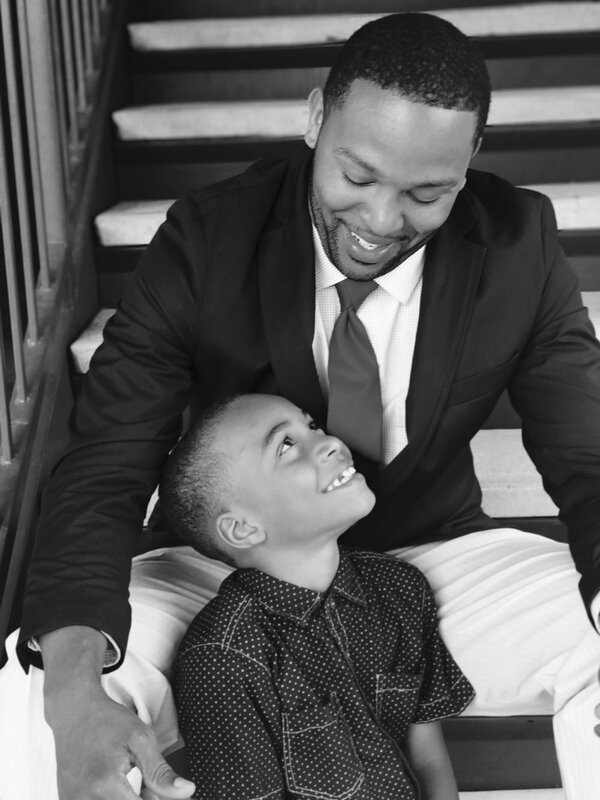 I know this is an in-fertility blog, but know this...Each father is important! I have to give a shoutout to my wonderful husband who happily took on the role as daddy-father to my Kaleb! I really pray that one day Kaleb will realize how blessed he was to have Errick in his life. We always tell Kaleb that he has a head start compared to what we had growing up. I also wanted to do something different this Father's Day, so I picked up 3 cards. One from Kaleb and the other two from our future babies. God has shown us a beautiful girl and handsome boy, so the other two cards were from them. I also put with them a girl and boy onesie! Each card had a special message for Errick. I did not expect him to tear up but he did! I really just wanted to encourage him and let him know that God will bless us. I did not want him feeling down at all about this season we are in. I really hope that you encourage the men in your life and if you and your husband are in a season of in-fertility, I challenge you to keep pressing! Pray! Do not give up!